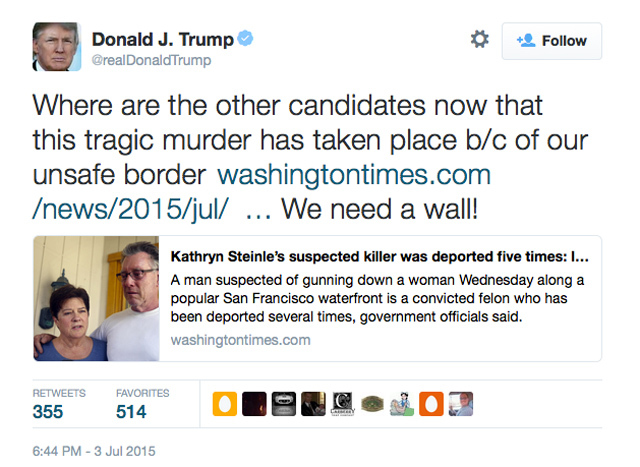 Only days after Donald Trump essentially painted the vast majority of Mexican illegal immigrants as rapists and murderers, Kate Steinle, 32, was gunned down by one in broad daylight. The federal government had deported the man five times. 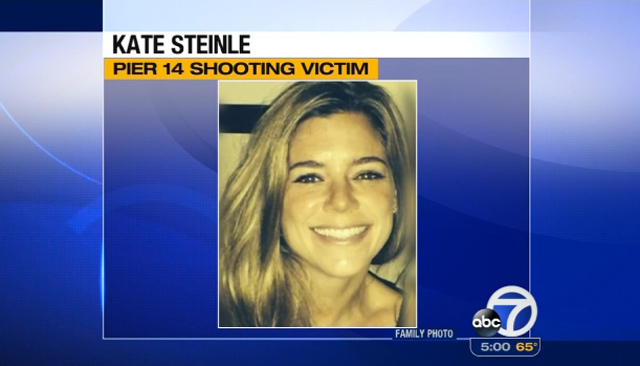 San Francisco is a sanctuary city and refused to hand over the suspect when it had the chance. Reporter Cornell Barnard was able to interview apprehended suspect Francisco Sanchez on Sunday. 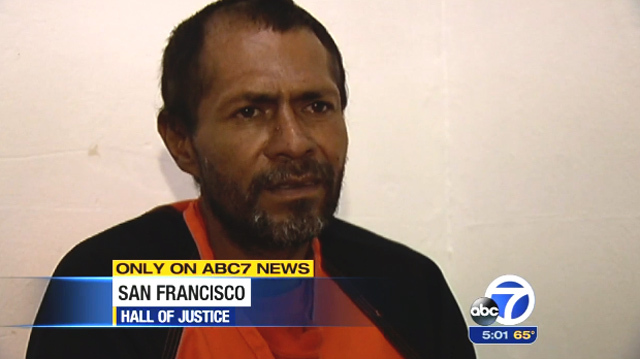 [Francisco Sanchez] says he was wandering on Pier 14 after taking sleeping pills he found in a dumpster. He appeared frail and nervous when he talked about returning to the U.S. after being deported back to his native Mexico five times. Sanchez said he knew San Francisco was a sanctuary city where he would not be pursued by immigration officials. Mr. Trump was one of only a few high-profile individuals to bring attention to this story when he tweeted it Friday night. Sadly, it doesn’t matter how much truth there is to a man’s message if his delivery convinces others that he is a bad person. “We dislike imitating those we hate even in their good qualities. The Lacedaemonians would not follow the good counsel of an evil man unless some good man stated it after him. On the contrary, we cannot help conforming ourselves to those we love. It is in this sense, I think, that the great apostle says that ‘the law is not made for the just.’ In fact, the just man is not just unless he has holy love. If he has love, there is no need to urge him on with the rigor of the law, since love is a more cogent teacher and solicitor to persuade a heart possessing it to obey the will and intentions of its beloved. Love is a magistrate who exercises his authority without noise, without bailiffs or sergeants-at-arms, but merely by that mutual complacence whereby, just as we find pleasure in God, so also we reciprocally desire to please Him.” — Francis de Sales. Yes, it is possible to learn a thing or two from men who lived in the late 1500s and early 1600s. If you have an important message to deliver to a skeptical audience, then it is crucial that the vehicle for that message not come across as a bully, a jerk, a racist or an evil man. I am not saying that Mr. Trump is any of those things, but the way he carries himself in front of a microphone makes it incredibly easy for his detractors to make such a case. Large scale illegal immigration brings with it a whole host of (often deadly) problems. When you have “sanctuary cities,” criminals will gladly take politicians up on the offer. Innocent people pay the price for officials who do not take the rule of law seriously. That is why we need serious and articulate men and women to explain what is going on to the American people. It is not good enough to simply be correct when speaking on public policy issues like illegal immigration; one must also be able to show empathy. Sadly, too many people who are right on the issue seem to have little to zero empathy for the millions who are trying to flee dysfunctional and oppressive hell holes. People will often vote for a man with horrendous public policy ideas if he seems like he cares about his constituents. People will often not vote for the man with great public policy ideas if he seems cold, detached or weird. Wouldn’t it be nice if the Republican Party could run a candidate who actually had good ideas and he or she exuded the kind of empathy skills that could win over Independents and Democrats? Perhaps if Donald Trump read the works of Saint Francis de Sales years ago, then he could have been that man.